WE CREATE A LIST OF TOP FIVE BEST ITEMS FROM ALL OVER UNIVERSE. FROM LIVING TO NON LIVING FROM HIGH TO LOW FROM ONLINE TO OFFLINE FROM INDOOR TO OUTDOOR FROM RICHEST TO POOREST, IN SHORT, WE COVER ALL NICHES AND WE ARE THE NEW NICHE. FIVEST IS FORMED BY COMBINATION OF FIVE+ BEST AND UNIVERSAL FOR ALL UNIVERSAL TOPICS. 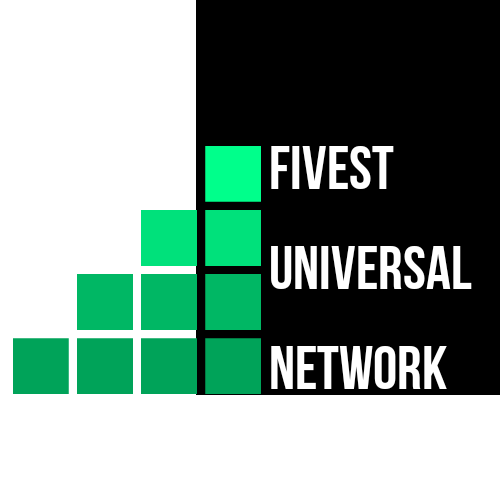 "FIVEST UNIVERSAL NETWORK" ALWAYS TRY TO GIVE YOU BEST LATEST TRENDING ARTICLES FROM ALL OVER THE INTERNET, IN SHORT, "FIVEST UNIVERSAL NETWORK" IS ONE STOP DESTINATION FOR ALL YOUR DAILY LATEST EDUCATION +LEARNING +KNOWLEDGE +ENTERTAINMENT + UPDATES. ONCE AGAIN THANKS FOR VISITING AND FOLLOW US, WE WILL ALWAYS IN SERVICE OF YOU AND WILL ALWAYS TRY OUR BEST TO GIVE YOU BEST. FOR ANY QUERIES AND SUGGESTIONS PLEASE FEEL FREE TO CONTACT US, WE WILL BE HAPPY WITH YOUR GUIDELINES, SUGGESTIONS AND SUPPORT.GREAT TIMES AHEAD.